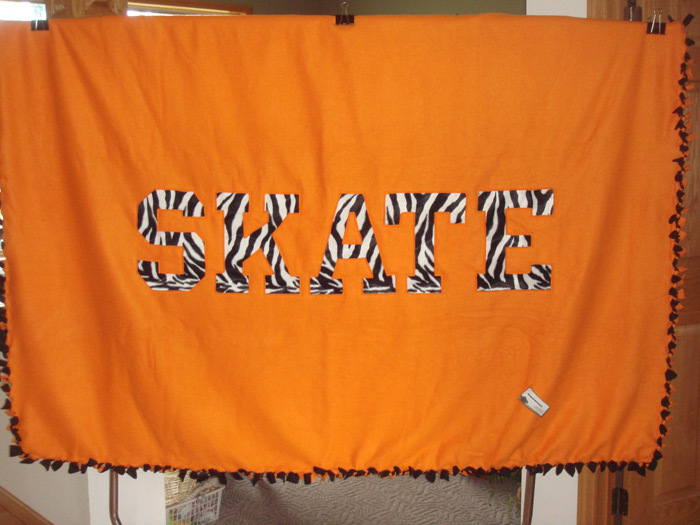 These one of a kind blankets are hand made with 100% fleece fabric. 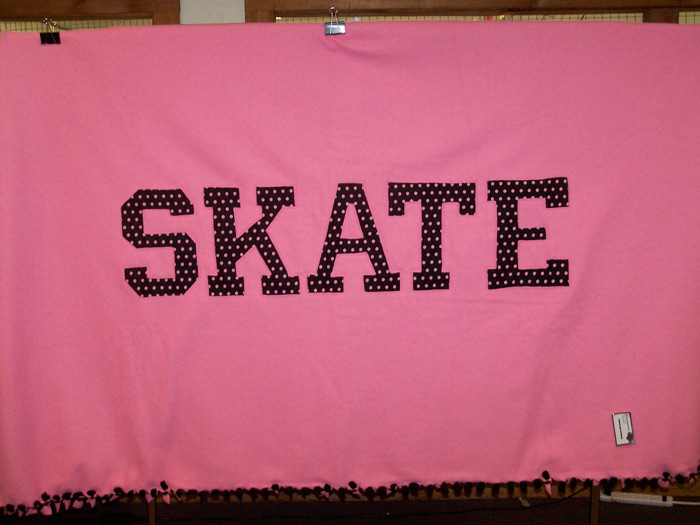 Each blanket measures approximately 90 inches wide and 60 inches tall. 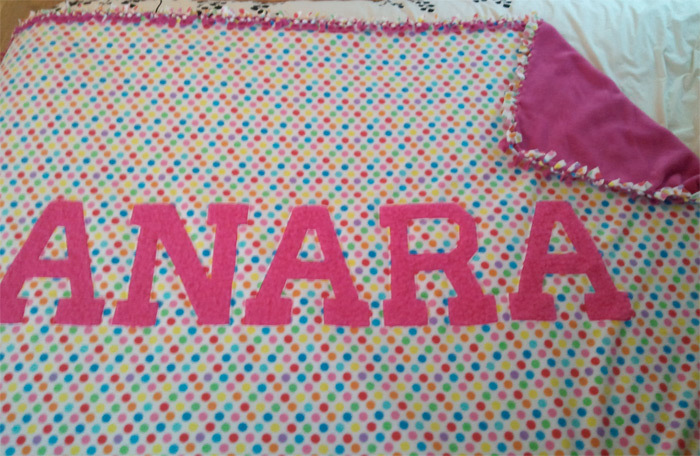 The letters are inset in the blanket for a clean and professional look. 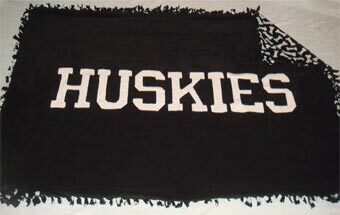 Custom blankets are available to match your favorite team, school, or anything else. Master craftswoman Susan Harris has been creating hand made works of art for over 30 years. 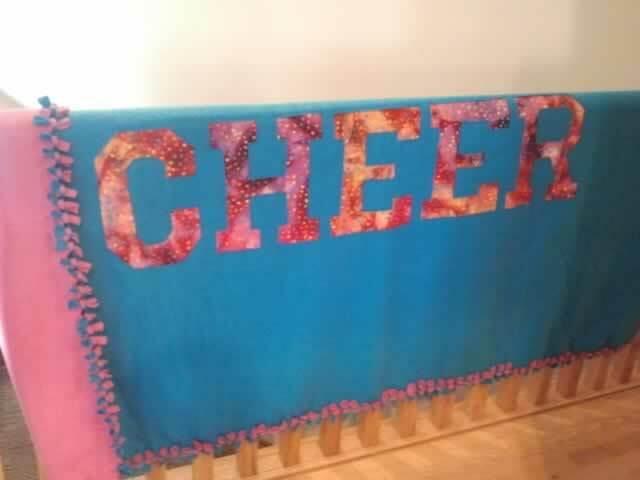 She specializes in custom fleece blankets and quilts. 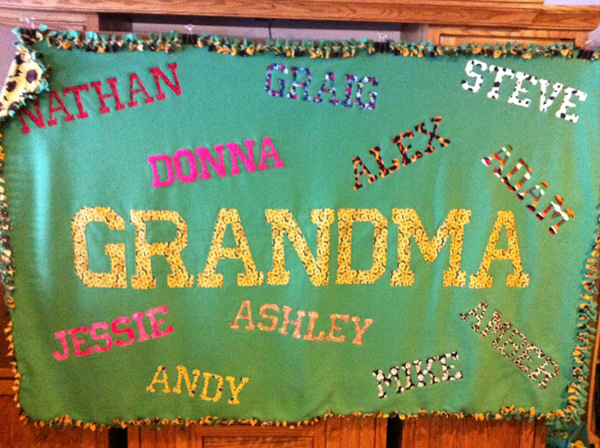 Susan adds a new twist to the popular blankets to make them a one of a kind treasures.